← Bell Island Museum and Underground Mine Tour. 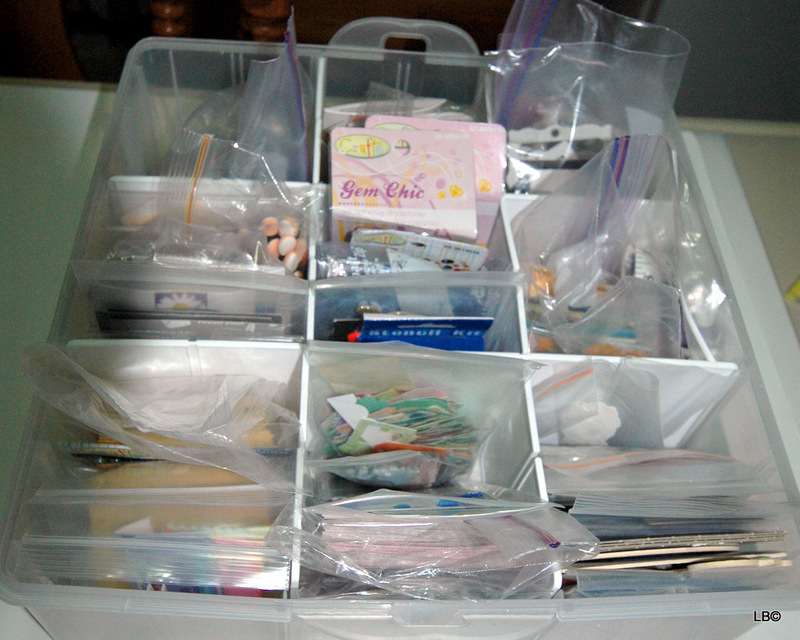 I recently reorganized my scrap-booking supplies. You can click here to see what it looked like before. 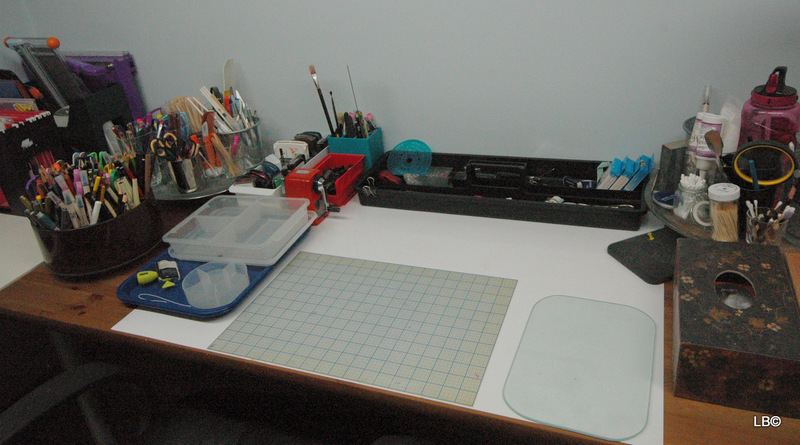 I love the table down the middle, where I can spread out the layouts that I’m working on. 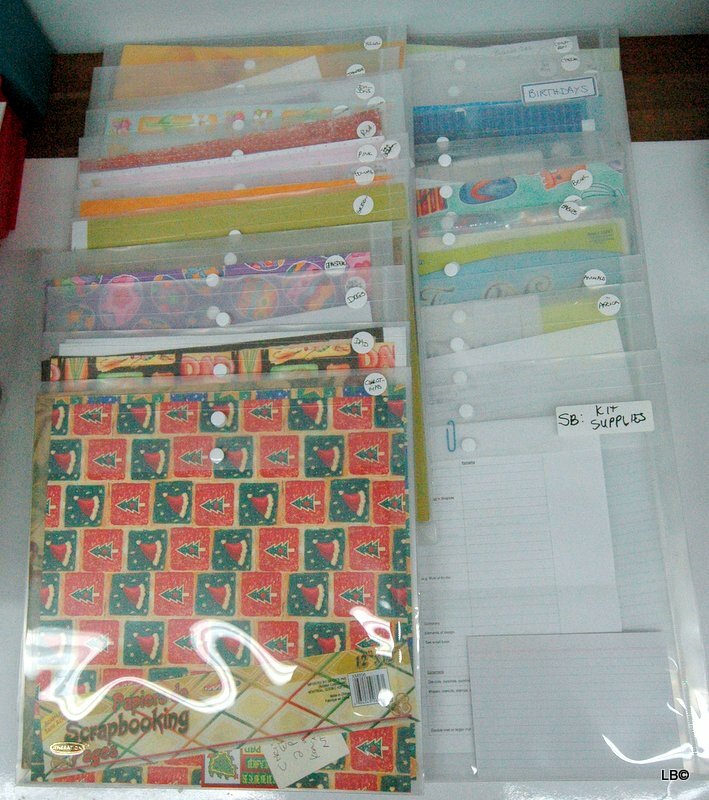 I cover them with glass sheets to protect them when I’m not working from “you know who“. 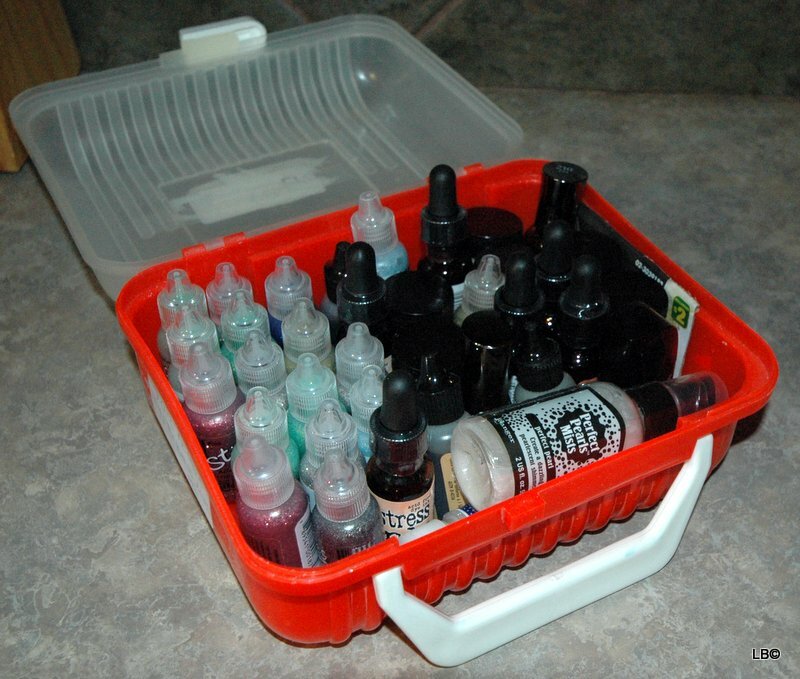 Please click here for an example The green toolbox underneath is from Bass Pro. I use it when we go camping. Nikon D70 © Please click on photos for larger images. 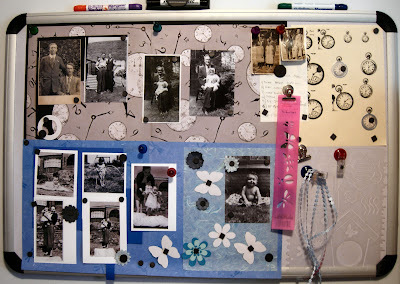 One of my Magnetic boards which I use for planning my scrapbooking lay-outs, here I had two different layouts on the board, “Timeless ” and “Baby in the Garden” You might also like Katy the Scrapbook Lady’s Magnetic boards. The backgrounds and headers for my blog are made the same way. Here is the photo before. Nikon D70 ©. Around the room from left to right. 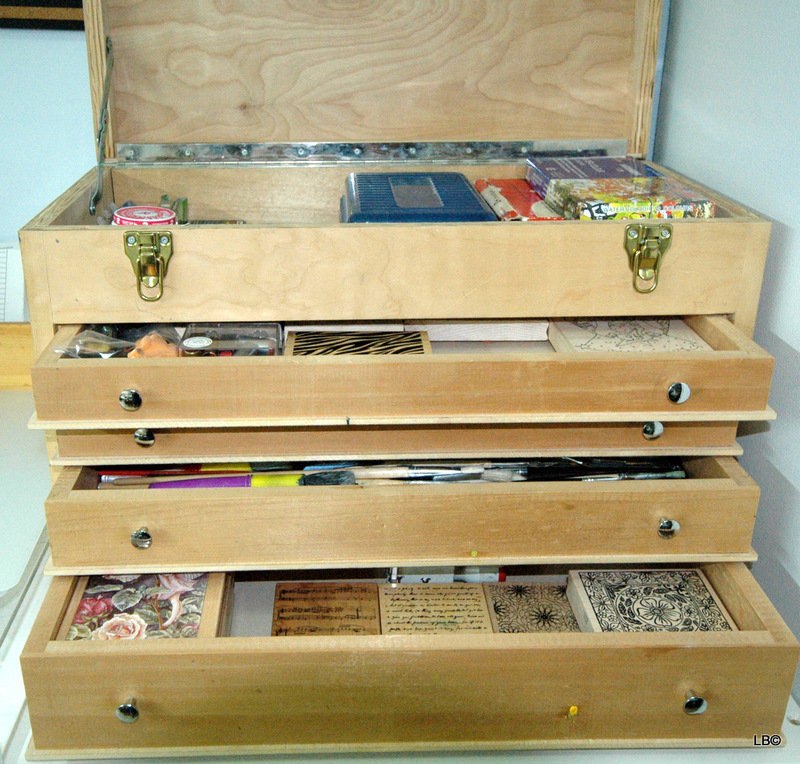 The book-case is from Ikea, most of the craft books and magazines were bought second-hand from thrift-stores. 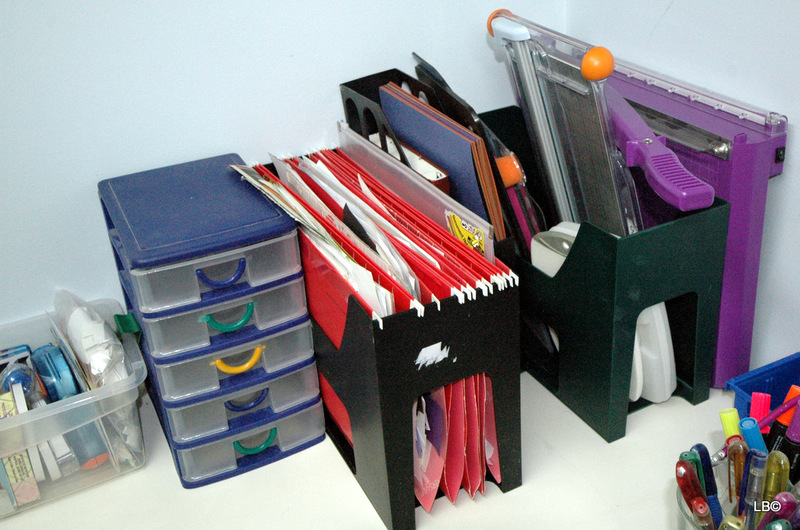 An adjustable metal shelf with my completed scrapbooks, more books and planning files. 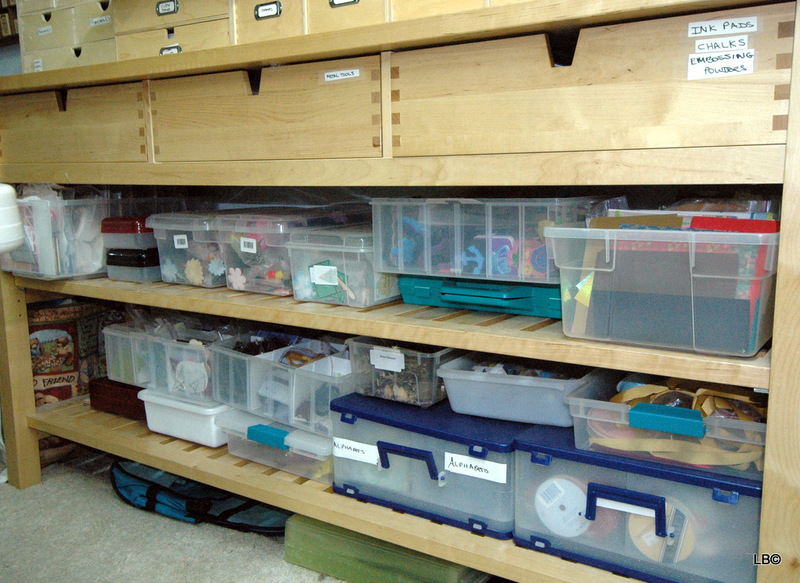 I removed the radio, storage jars, etc. from the windowsill, which you can see here, as they blocked the window in case of a fire. Nikon D70 ©. 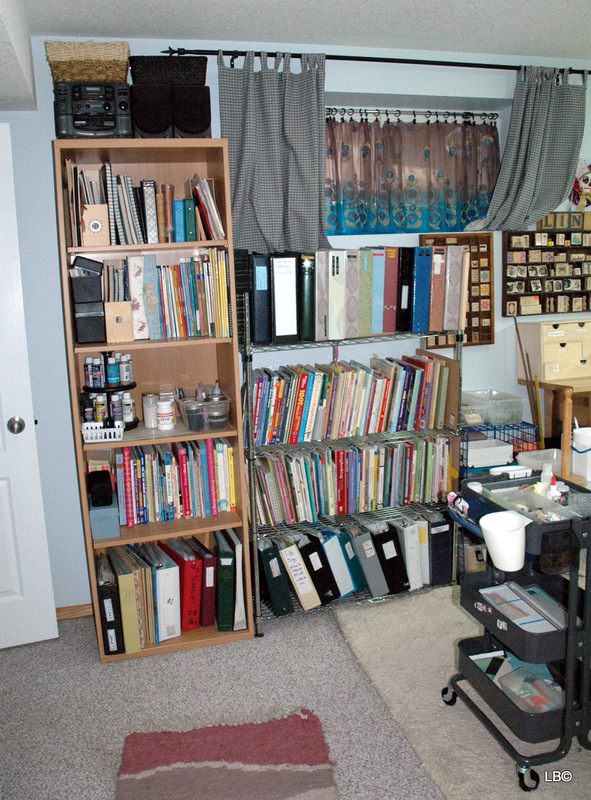 Please note that my scrapbook and photo albums aren’t in the bottom shelf, in case of flooding, as my craft-room is in the basement. 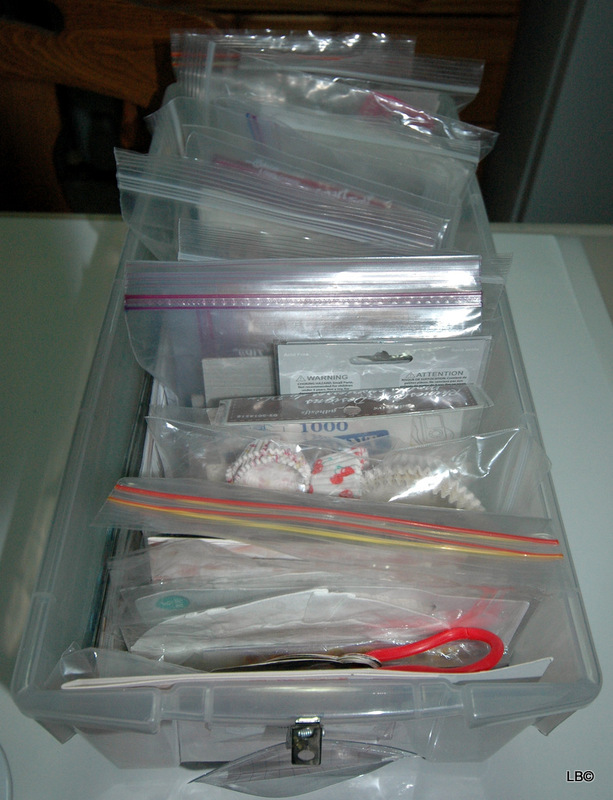 Embellishments in Plastic Storage Boxes. 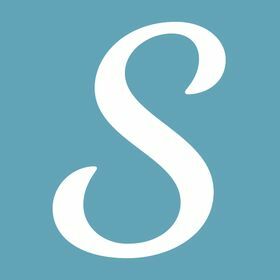 Filed magazine articles.My files are alphabetical, I do however have many categories like babies, children, Christmas, Fall, Vintage, styles, seasons, holidays, travel, etc. 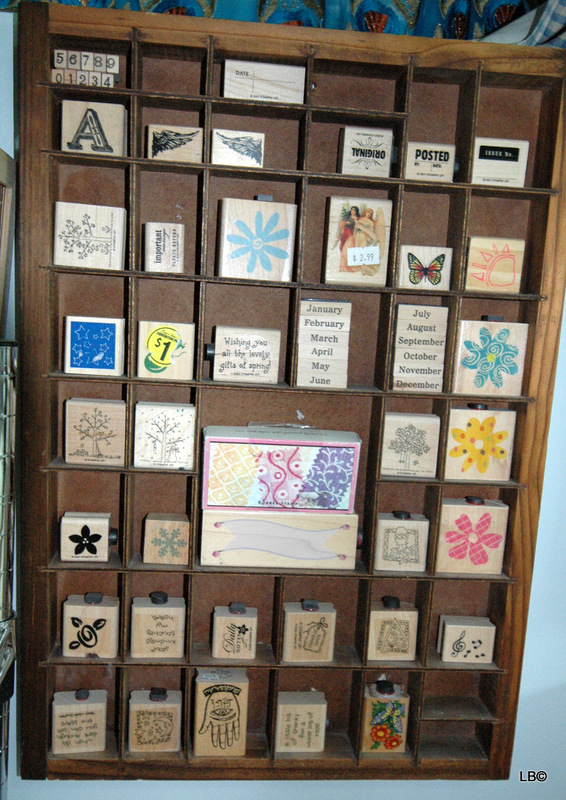 On the wall are printer’s tray with rubber-stamps and one of my Magnetic boards which you can read more about here. On top of the butcher’s block is from Ikea are wooden boxes, which was a Thrift-store find, but they are available from Ikea. Nikon D70 © Please see next photos. 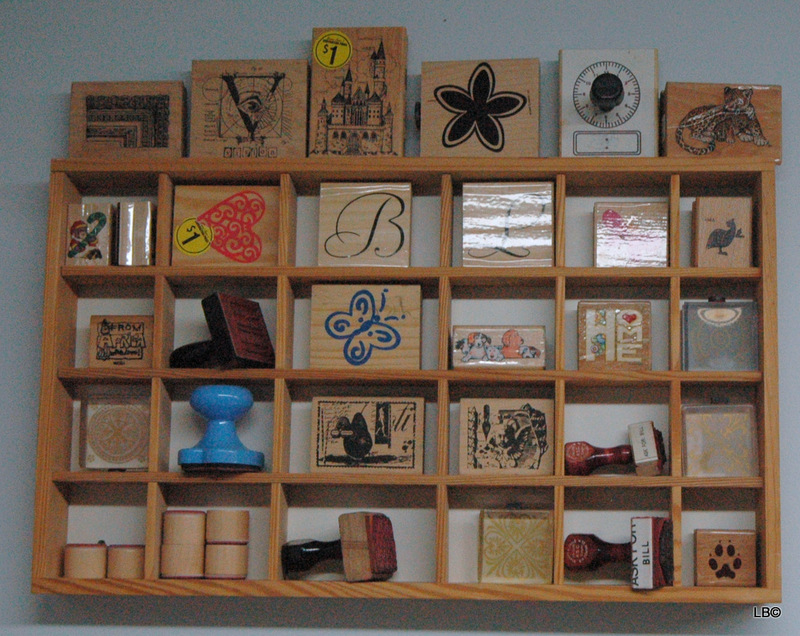 These are some of my wood mounted rubber-stamps. 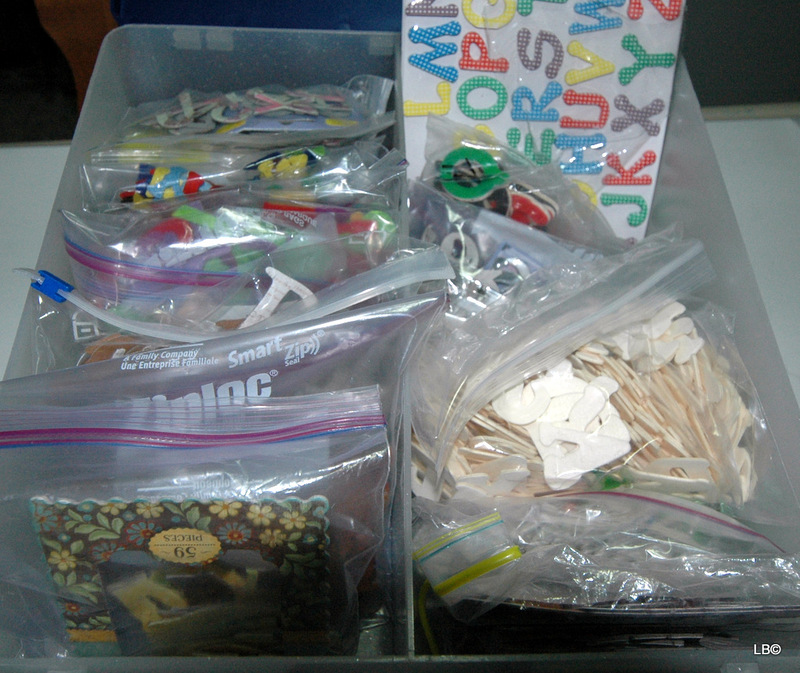 Inside the wooden drawers, I have tried to label as much as possible. 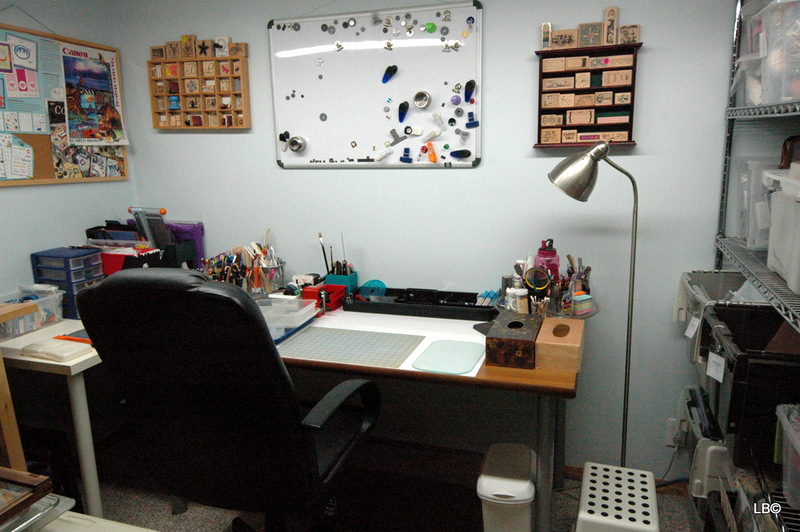 Ink-pads, chalks, embossing powder, etc. I got this container from Walmart. 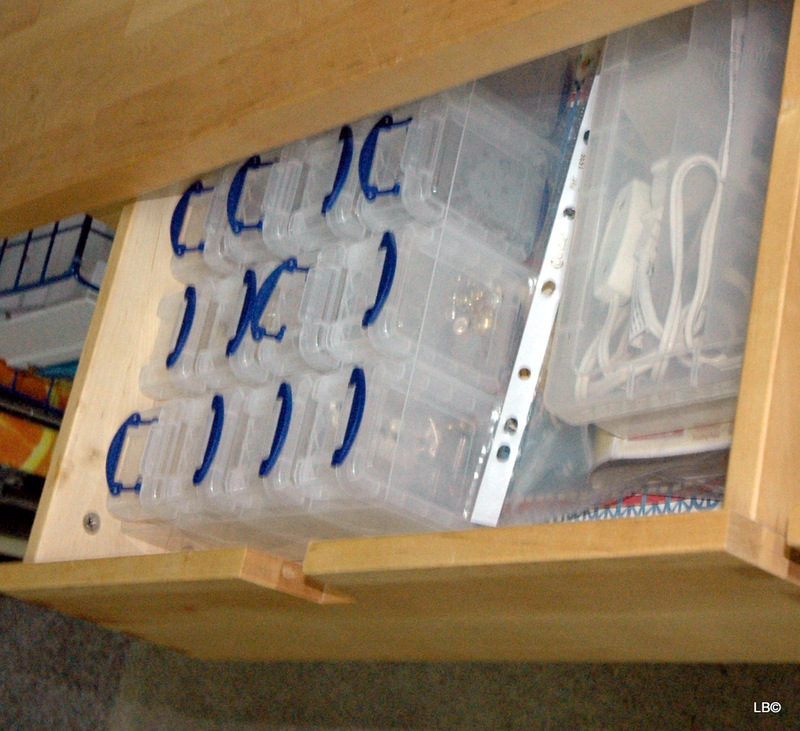 See through containers, Cropper Hopper photo cases, etc.on the shelves of the butcher’s block from Ikea. Please see next photos. 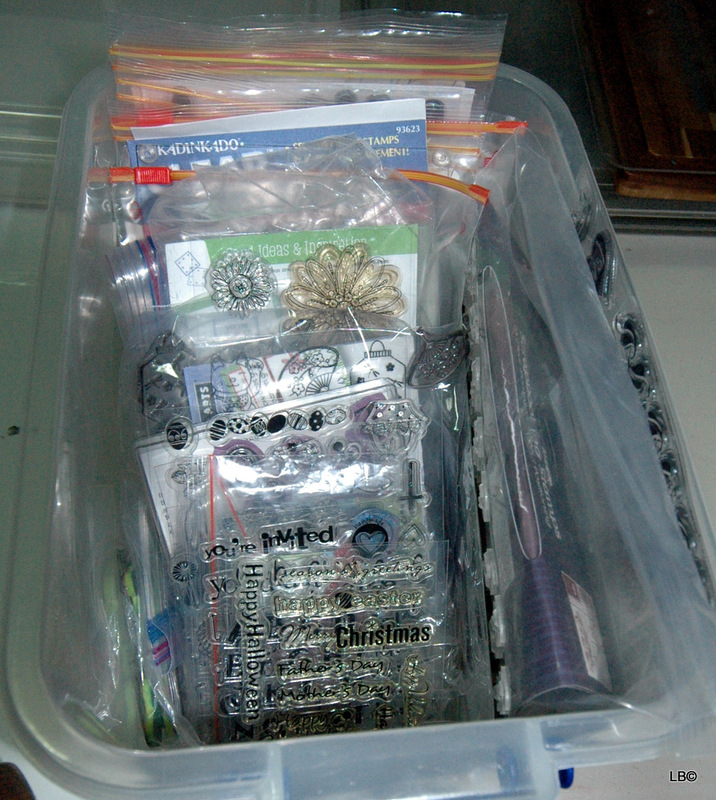 I like filing my embelies in Zip-lock bags, I have labeled some with name badges. These are Cropper Hopper containers which I had for a while, I had them stacked before, which you can see here, but they work better open for me on the shelves. 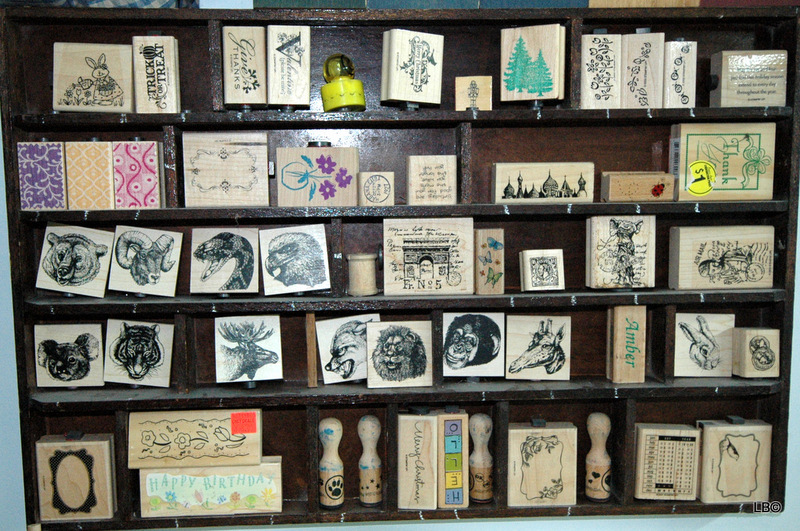 Some of my foam stamps. 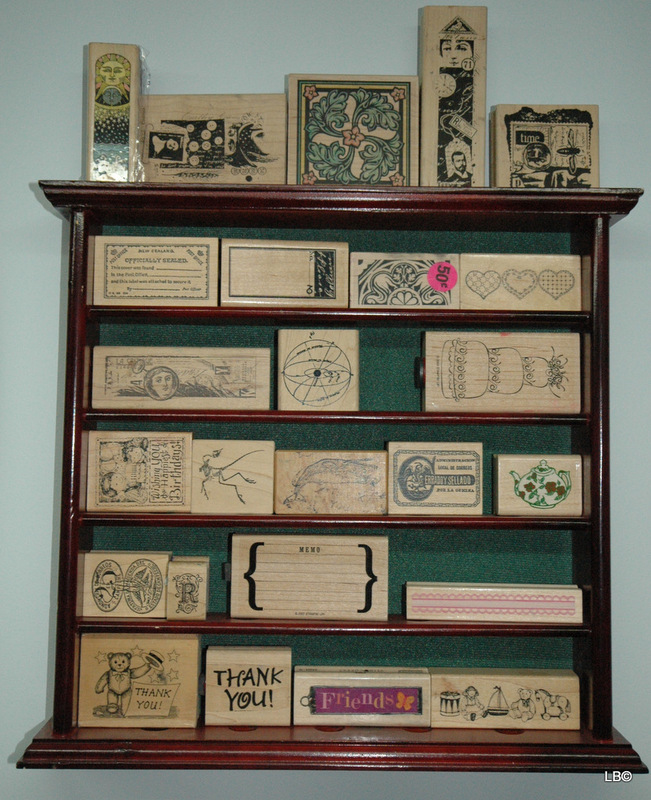 A shelf that I got at the goodwill store, which I use for my bigger rubber stamps. See next two photos for close ups. 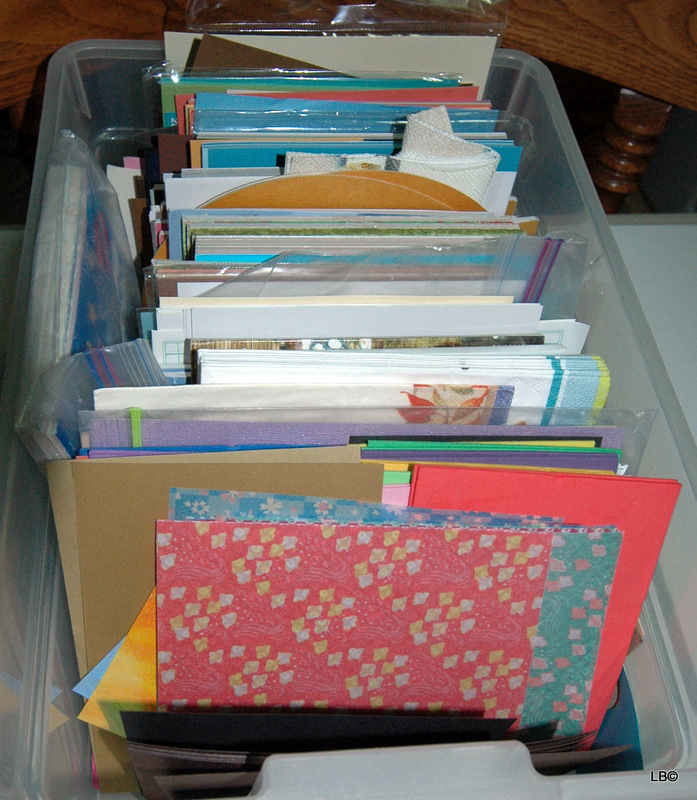 Small stacks of solid card-stocks, patterned paper, paper napkins, etc. 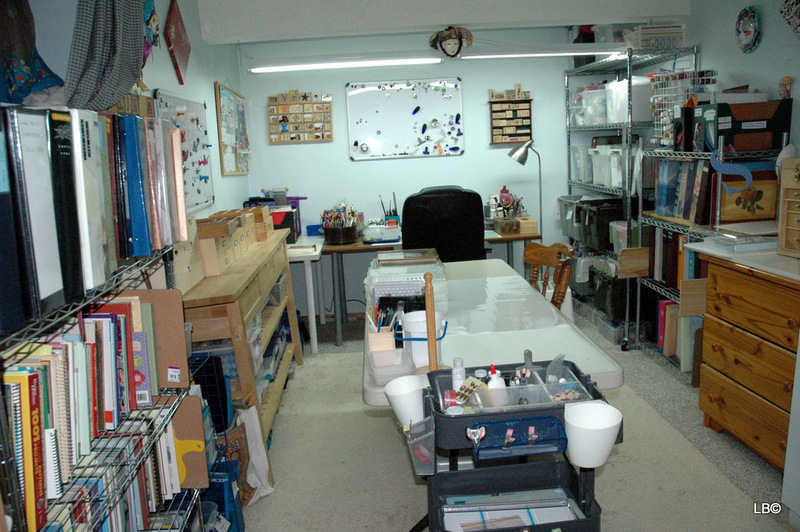 Some of my kits see above. 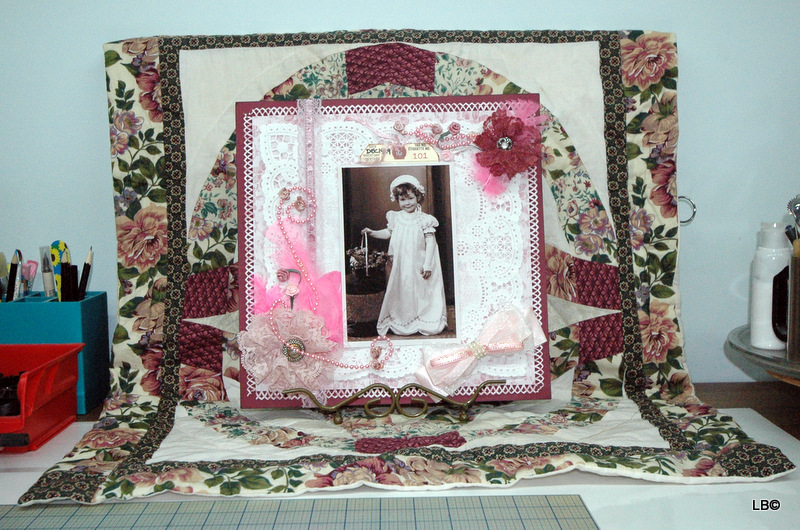 Photographing a layout on my table. 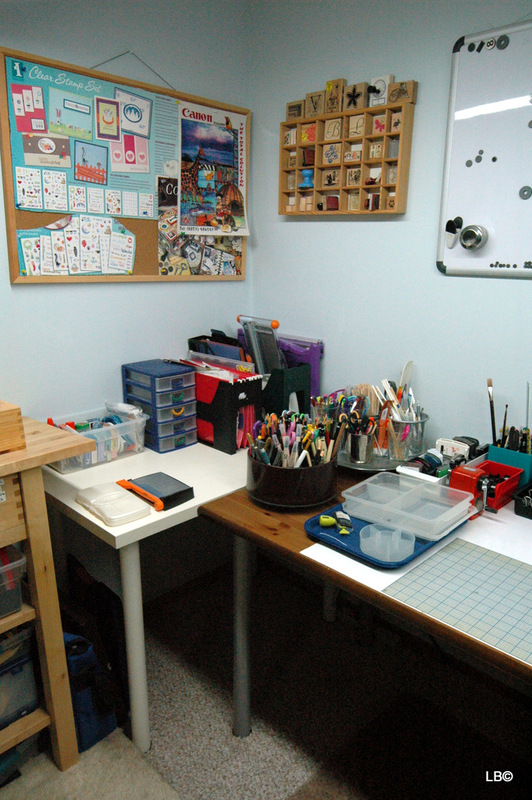 The table in the corner is from Ikea, with my paper trimmers, a box filled with adhesives, photo mounting squares, photo corners, etc. Nikon D70 © Please see the next photo. 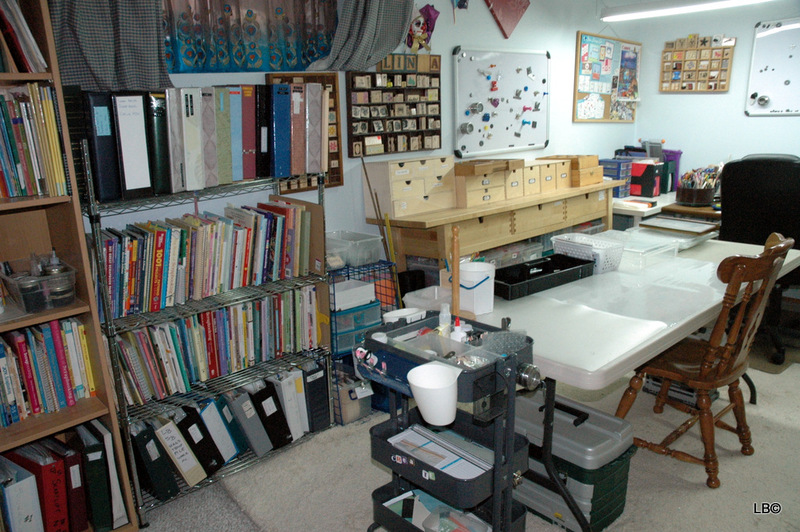 Adhesives, filing, my paper trimmers, etc. 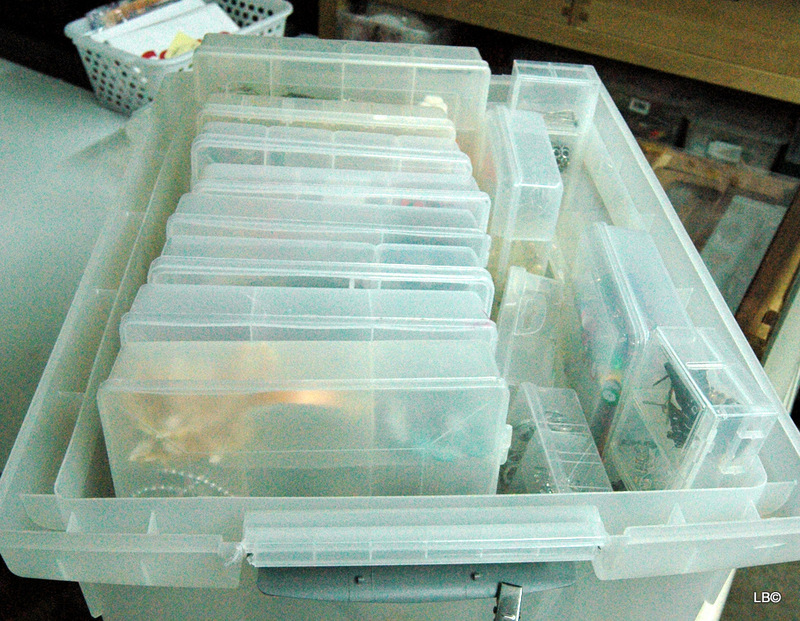 Most of my printer’s trays were Thrifts-tore finds. 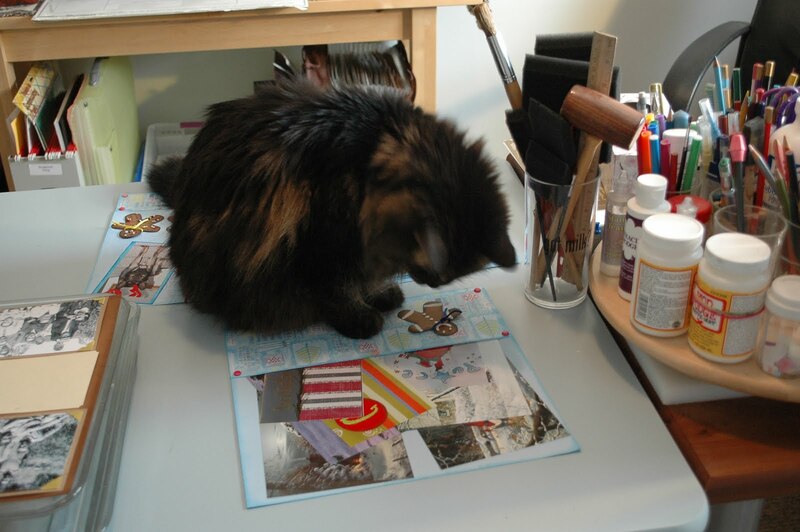 My most used supplies are close to me. All the trays are on a Lazy Susan. I keep some of the price stickers on the bargains. 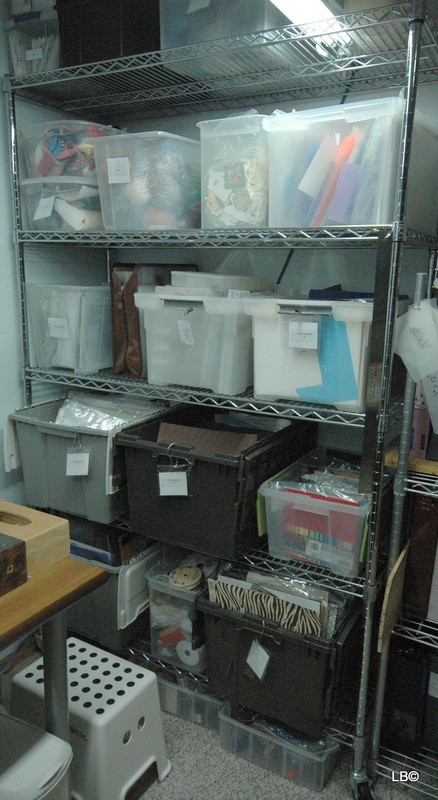 Another adjustable wire shelf with large totes for card-stock, patterned papers, stencils, wool, lace, ribbons, page protectors, etc. I use the step to reach the top shelf. Please see next photos. 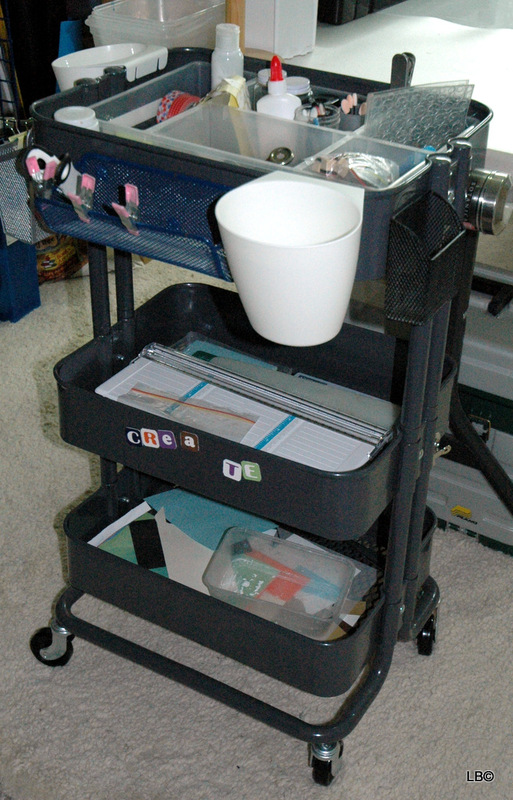 The top shelf, holds photos, negatives, toolbox with glue gun, hot glue, heat gun ( a paint stripper which we had) and tote with painting supplies. 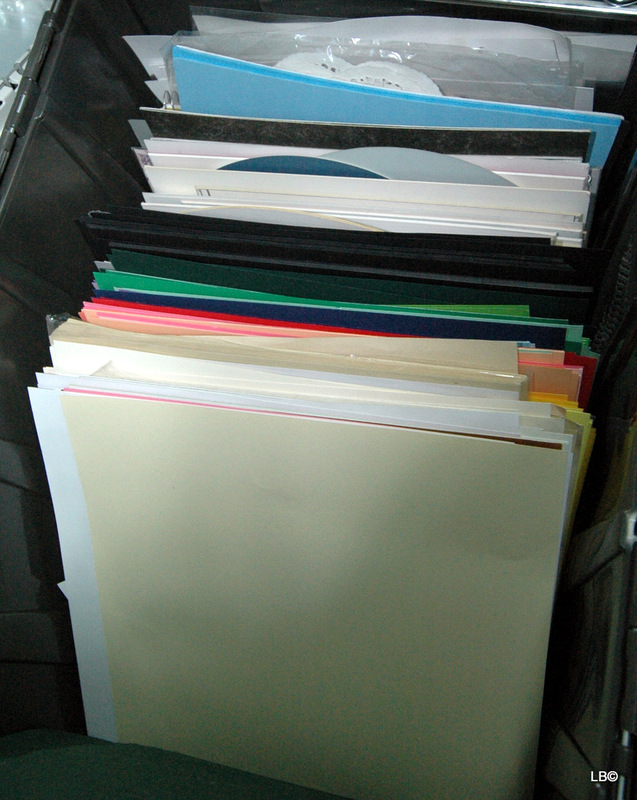 Tote with 12″ x 12″ Patterned Paper as seen from above. 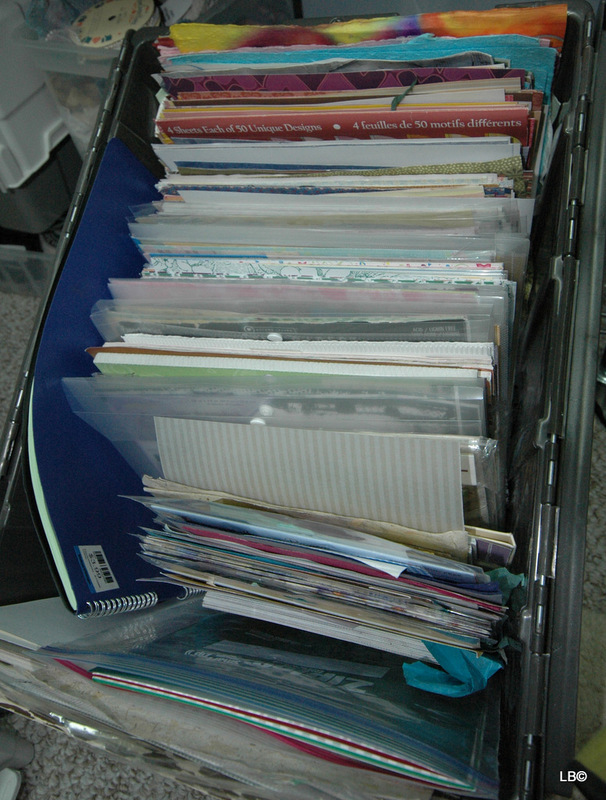 Tote with 12″ x 12″ solid card-stock as seen from above. 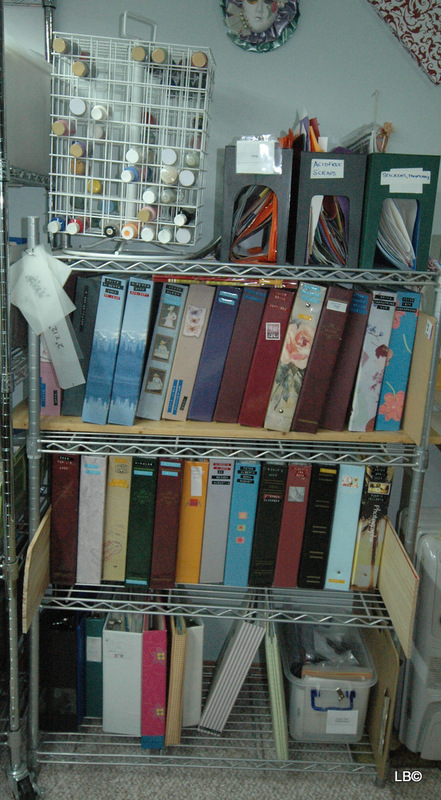 Another adjustable metal shelf with photo albums, scrapbooks, filing, etc. Nikon D70 © Please see next photos. 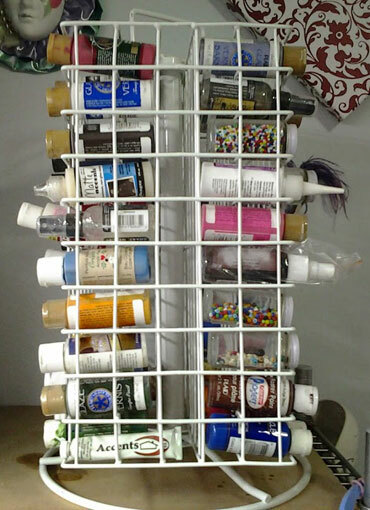 The spinning paint rack from Provo Craft, designed to stow up to 160 two ounces bottles, was another thrift-store find. 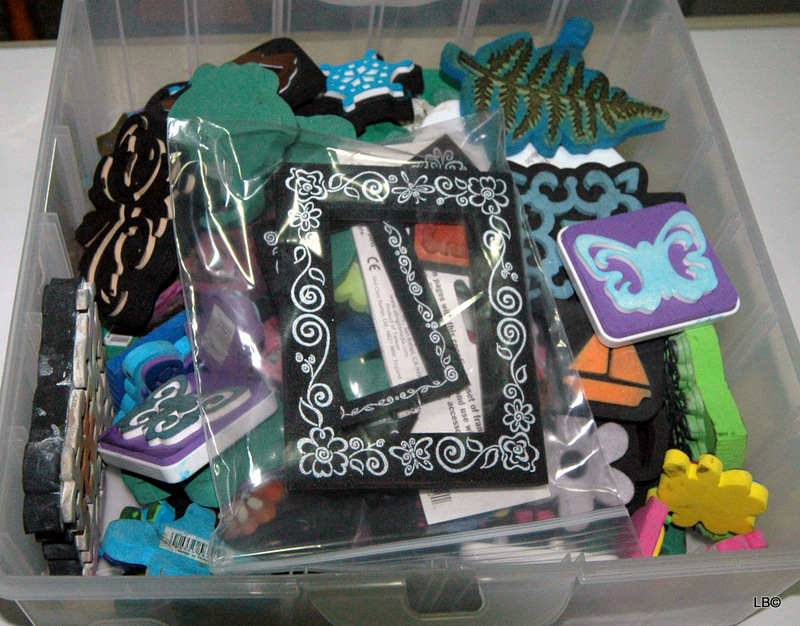 I cut these photo, title, borders, embelishments, etc. 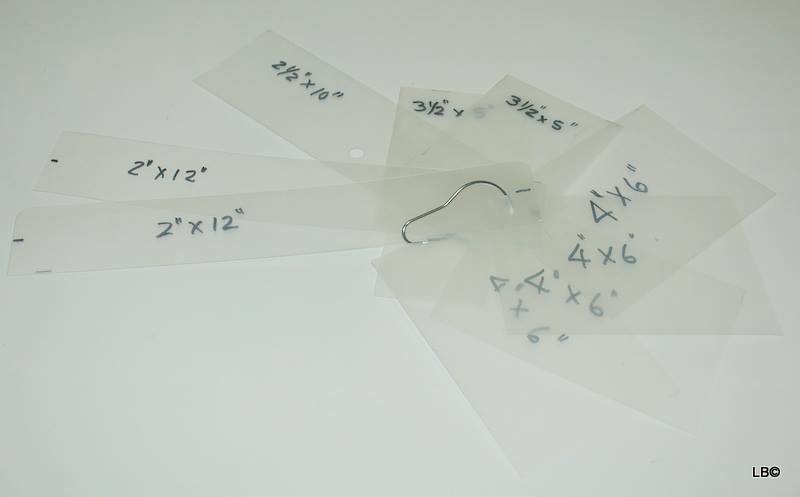 templates from opaque flexible plastic cutting board sheets as used for cooking. I got them at a Dollar-store wink emoticon I then punched a hole in them and hung them from a shower curtain ring. 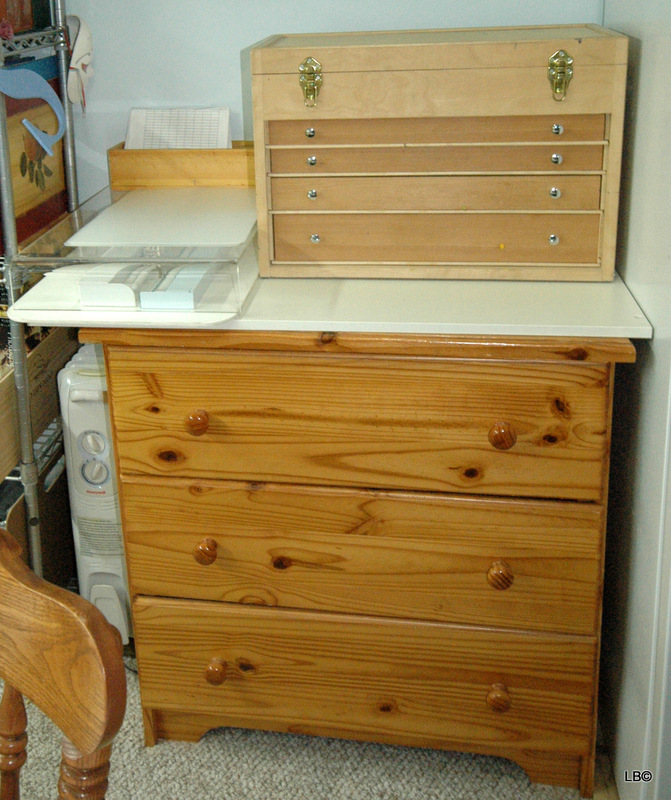 A chest of drawers with my My Light-Box and latest thrift-store find on top is for fabric, wool, etc. Nikon D70. Please see next photo. 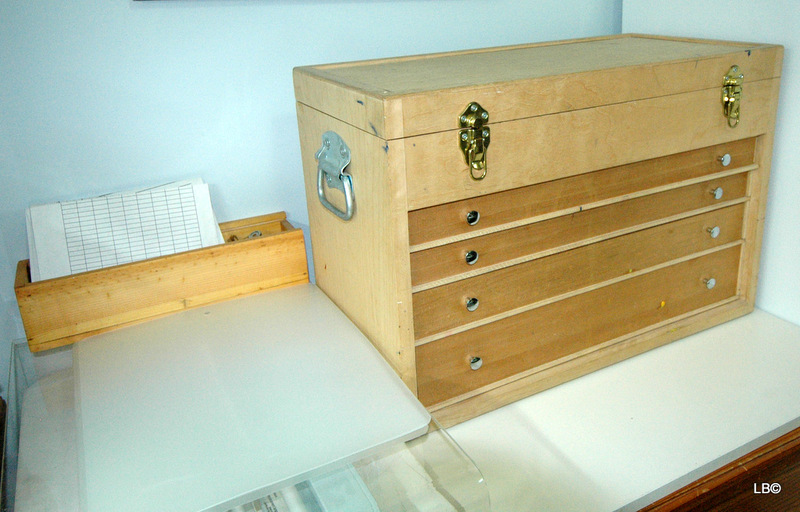 My Light-Box and latest thrift-store find. Please see next photo. 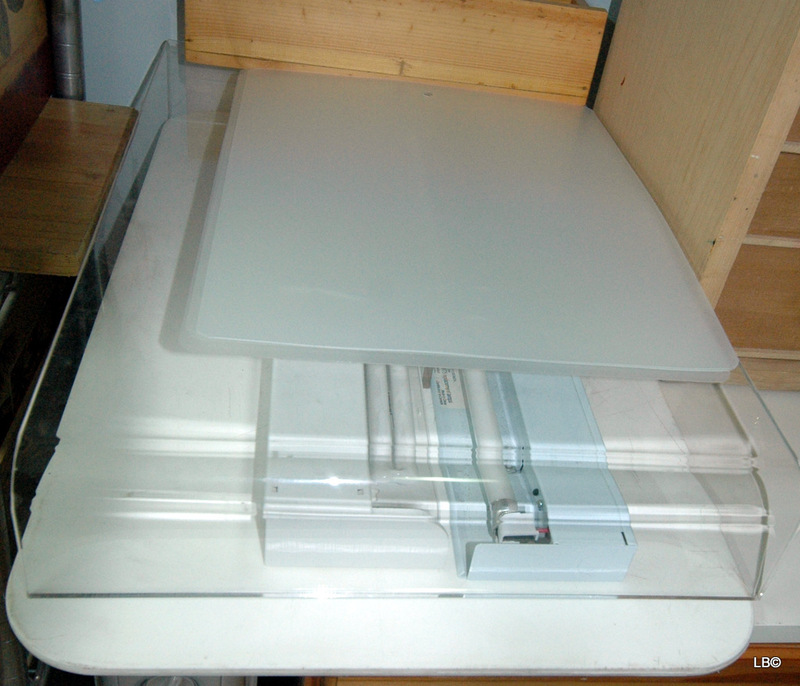 My Light-Box. Please click for here more information. I hope you found this post helpful, please let me know. 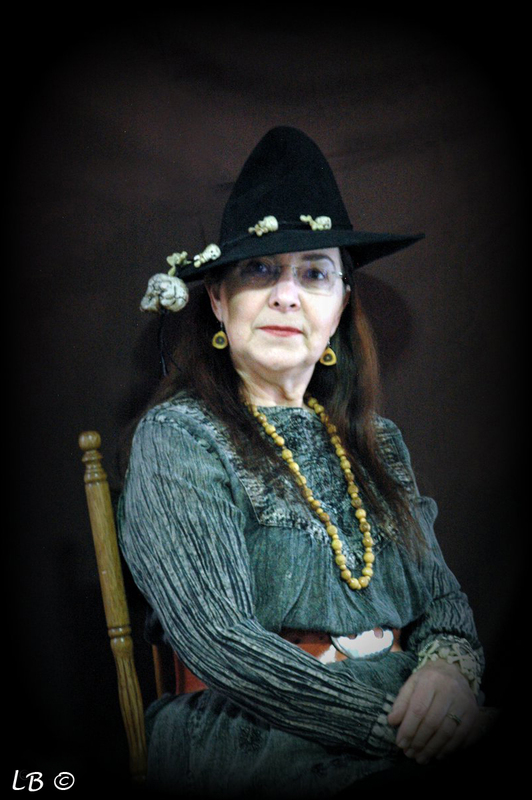 Please click here for large image. 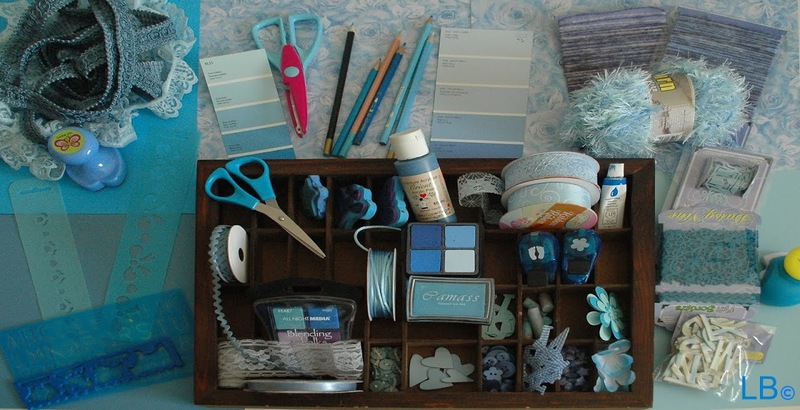 This entry was posted in Crafts, Hints, Organize, Organizing, Photos, Scrapbooking and tagged crafts, Scrapbook. Bookmark the permalink. 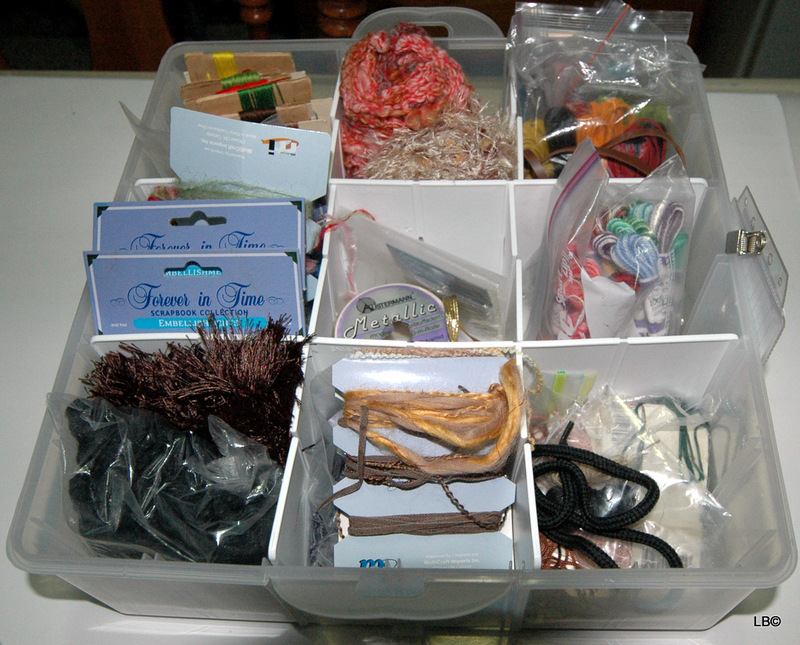 9 Responses to Organizing craft supplies. Sjoe!! Duisende klein goedjies. Doen jy dit net vir plesier, of maak jy darm goed geldjie ook? 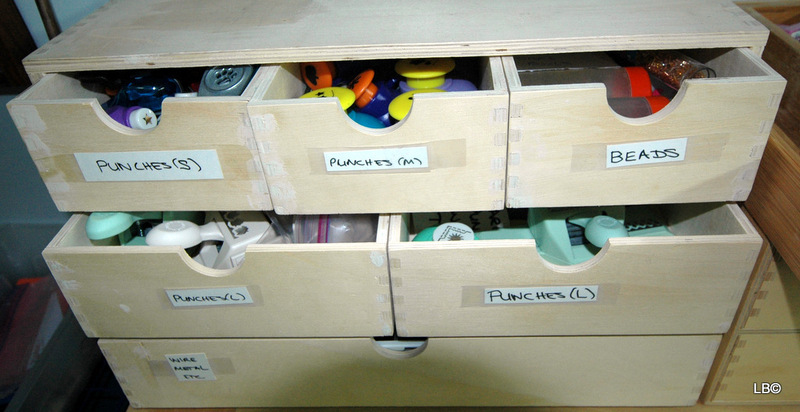 Wow Sisi that is organised! If I was you I would be scared to start a project incase I messed everything up. 😜😜😜 Well done – lots of work. Dit sal ongelooflik lekker wees.